The effects of globalisation on the airline industry cannot be understated, with worldwide airline expansion creating a critical shortage of aviation professionals. For example, a recent report predicts a potential global shortage of 160,000 pilots over the next 20 years. In many regions of the world, this shortfall has already created situations where less experienced pilots are taking on the responsibility of airline captain. As a means of maintaining the quality of pilots in this highly demanding role, the aviation industry has made great efforts in modifying the delivery of education and training programmes. As in other industries, digitalisation has become a critical part of this transformation for airline pilot training. To make further improvements to the learning experiences in high-fidelity simulators, video recordings of pilots’ performance have increasingly been used in post-simulator debriefing. Furthermore, more advanced flight-simulator video-recording systems have made it possible to record a range of information during simulator sessions (e.g. flight instruments, aircraft parameters, and visual scenes) for the purpose of playing back to pilots in debriefing rooms. It is argued by airlines and manufacturers of such systems that this type of training offers pilots an effective learning platform by observing concrete examples of their own performance. More specifically, the method enables individual pilots, and teams of pilots, to reflect on their actions and behaviours, evaluate their decision-making processes, and improve overall performance. Yet research suggests mixed findings about the benefit of the training method, and little research has investigated the learning effects of the advanced system of recording and playing back simulator sessions. 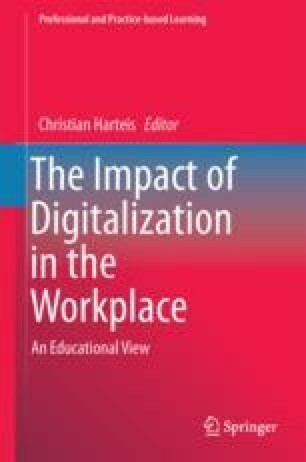 This chapter describes the practice of digitalised video-assisted debriefing, explores some of the issues already identified in the broader literature, and outlines possible solutions extracted from case studies of some airlines that have been using this method to maximise learning benefits of pilots. This chapter is based on previous work under the university–airline collaborative projects led by the second author. Thanks to Kassandra Soo and Michael Roth for assistance during some of the projects and Richard Wallace for pictures of the simulator and debriefing tool. Thanks also to Sarah Janssens and her colleagues for giving us the opportunity to observe their training workshops. The opportunity made us realise the key differences in debriefing practice discussed in this chapter.